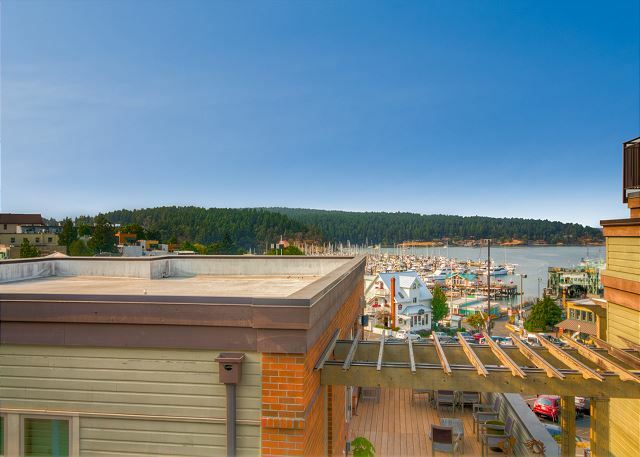 Churchill Plaza #4 - Centrally located in the heart of Friday Harbor, the Churchill Plaza offers all the luxuries of a private residence with beautiful views of the harbor and ferry landing. The property is in a mixed use residential and commercial building. Run downstairs for your morning latte or sandwich and enjoy the galleries and clothing shops. 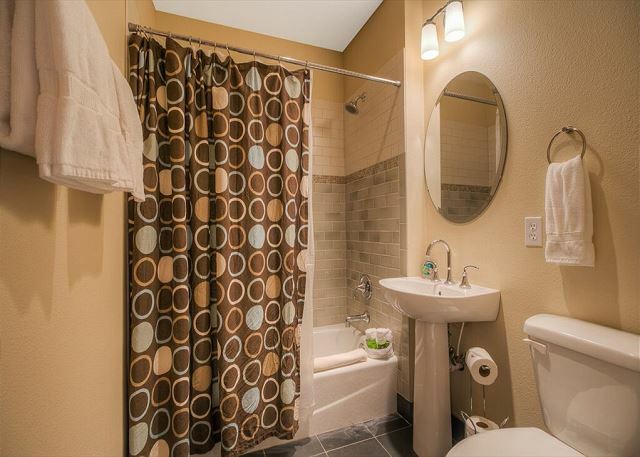 Relax in the lovely living room by the fireplace or take a soothing bath in the large soaking tub. Located just above the ferry landing, the loft's location offers the convenience of not needing to bring a car, but if you do the property has a secure, private parking garage with an elevator. 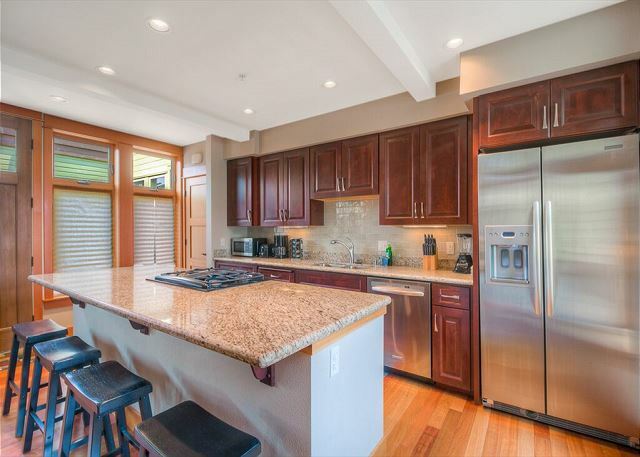 This home has an open granite counter-top kitchen with beautiful stainless steel appliances. The Churchill Plaza is a great place to experience the island for a few days or a lifetime. Elevator key is located in the unit. We enjoyed the unit. Perfect space for our family and locations was wonderful. Perfect location overlooking the ferry terminal! The condo was in the perfect location just one block up from the ferry terminal. The layout was perfect for our party of 3 adults and one child. The downstairs bedroom was small but worked for our elderly mother who didn’t want to go up the stairs daily. Her bathroom was also on the first floor which worked for us! Upstairs master was huge and had a great view. Master bathroom had the largest tub I’ve ever seen, and we made food use of it too! Overall we would highly recommend and would stay here again! 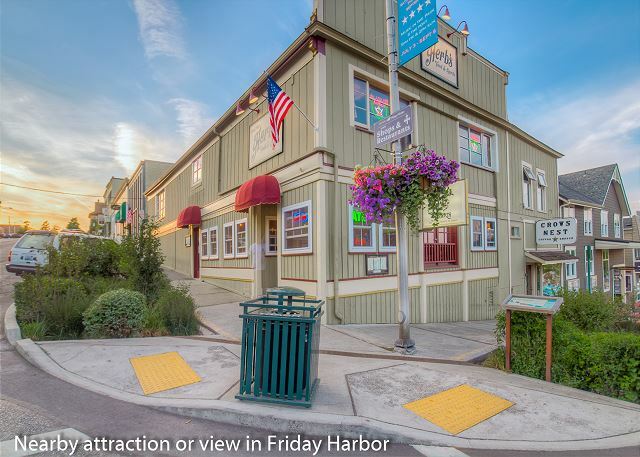 Comfortable stay in the heart of Friday Harbor! We had a wonderful stay in #4 Churchill Plaza. The facility was very clean and comfortable and the perfect size for two couples. We traveled off season so there were few neighbors and plenty of parking. The unit is very convenient to shopping, dining, groceries and the ferry - in fact, we could hear the ferry announcements from our living room! The beds were very comfortable and the kitchen was amply stocked with everything we needed for our short visit. 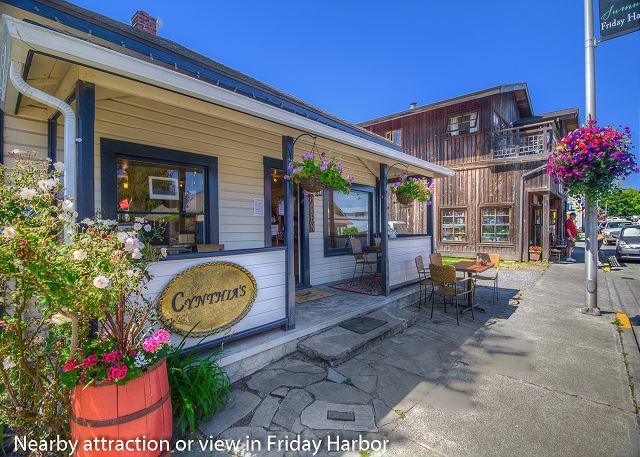 I would definitely recommend this as a convenient place to stay in Friday Harbor. Beautiful condo - great location! 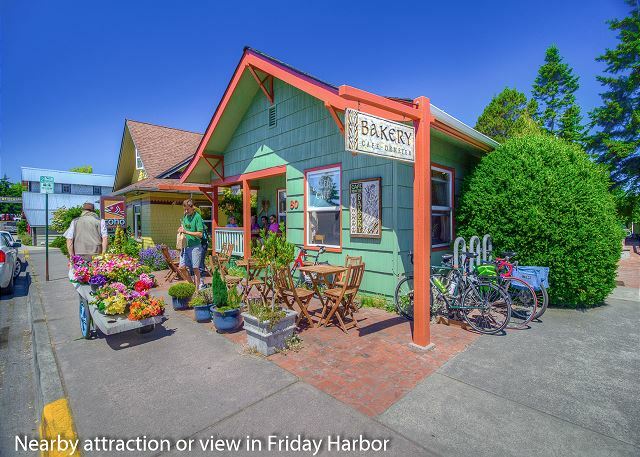 Great Choice for a short or long stay in Friday Harbor . The home is In great condition , Large and is located perfectly . Everything you could want or need is located right outside your door. We only had four in our party but it can accommodate a few more as I did see a air mattress . No car needed unless you want to explore the entire Island . In that case you can easily rent one just a block away at M&M Car Rental for cheap . This place is priced a little on the high side but very comfortable . 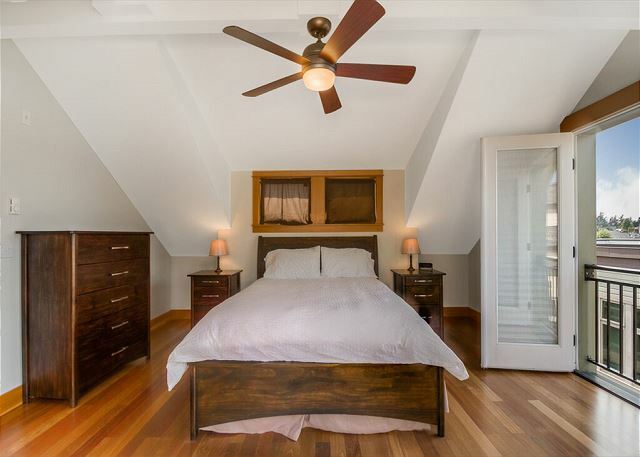 We were very happy with this unit - in the middle of town 1 block to the brewery and nicely appointed with a partial harbor view from the upstairs bedroom and a very nice bathroom upstairs as well. We'd stay here again. Great 3 nights at Churchill Plaza #4 - exactly as depicted in photos. 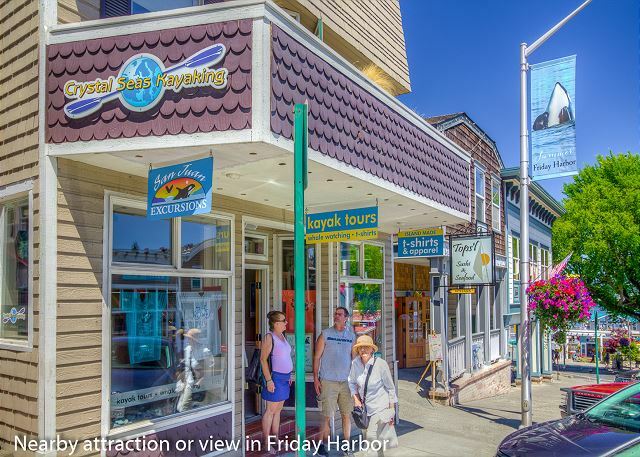 Just a few minutes walk from the ferry and so gives great access to the shops and restaurants in Friday harbor. 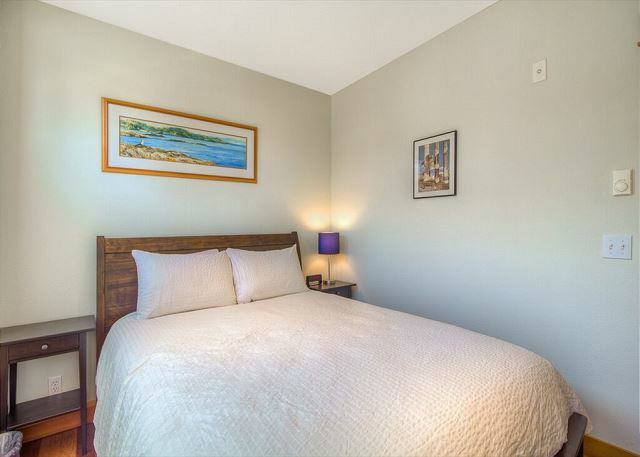 Nicely laid out apartment with everything you need for a lovely stay in Friday Harbor. What a terrific place to stay with amazing views and the location could not be better. The home was very comfortable and stocked well (except no shampoo). We were thrilled to be able to check in early! 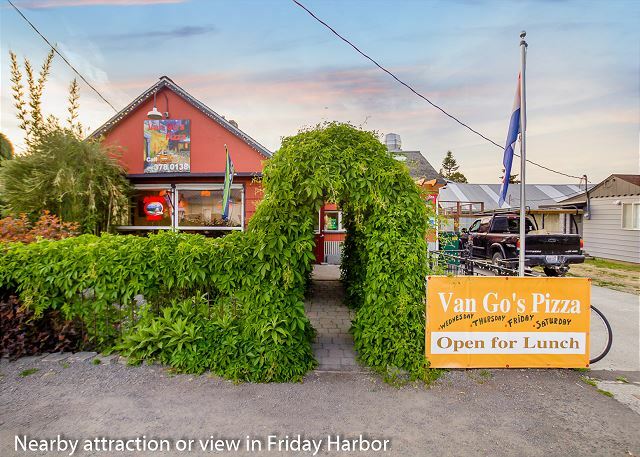 The place was clean, comfortable and walking distance from the ferry and all the Friday Harbor shops and restaurants! 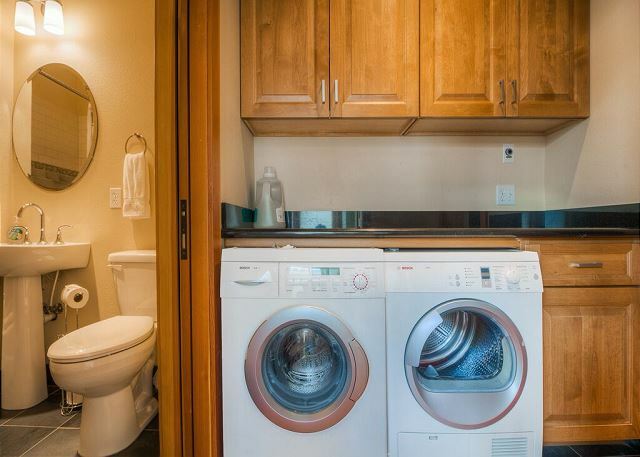 This unit was perfect for exploring the San Juan Islands. The condo was very nice & very clean. The property manager was very responsive. The location was excellent. It was very close to everything. My mom and I were beyond happy with our stay! 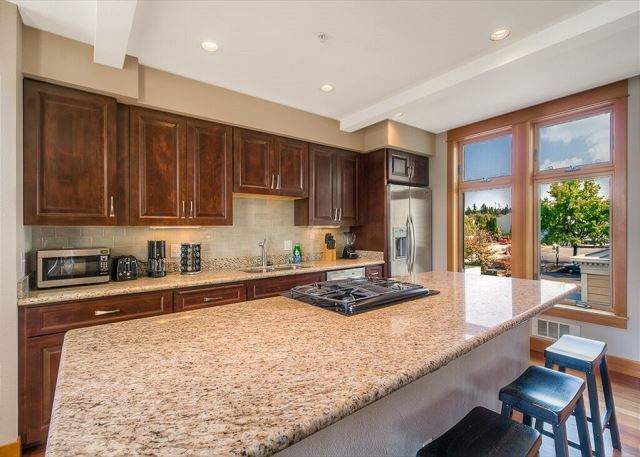 The condo was clean, comfortable, and in the perfect location for exploring Friday Harbor as well as the islands. Fabulous views as well!! Loved, loved, loved it... would highly recommend. San Juan Properties were wonderful to work with... look forward to a return visit! Hard to beat the location of Churchill #4. 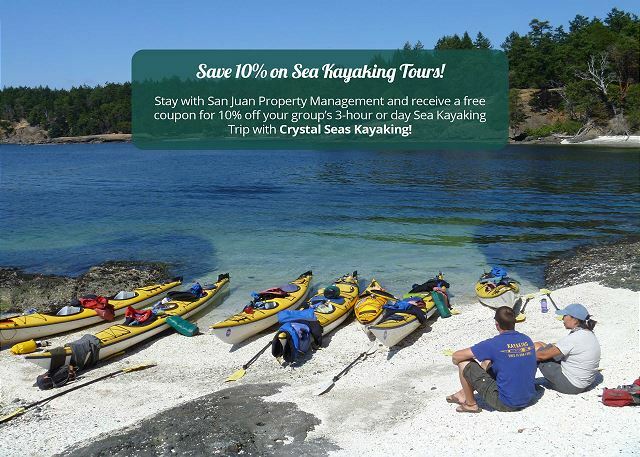 That paired with the rooftop patio and views of the harbor make this a fine place from which to enjoy San Juan Island. 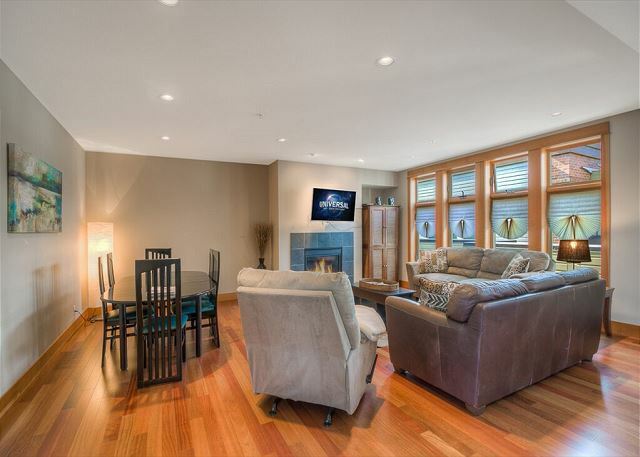 Pros: Location, layout, upstairs views, quality furnishings/finishes. Cons: Too few dishes/kitchen items (great additions would be a pitcher, trays, more coffee cups, highball glasses), sparse furniture (would be nice to have small tables to move around, extra patio chairs and potted plants to soften the patio), a sofa bed in the living room would be a great addition. This unit is in a very pleasant building close to the ferry landing and lots of shops and restaurants. 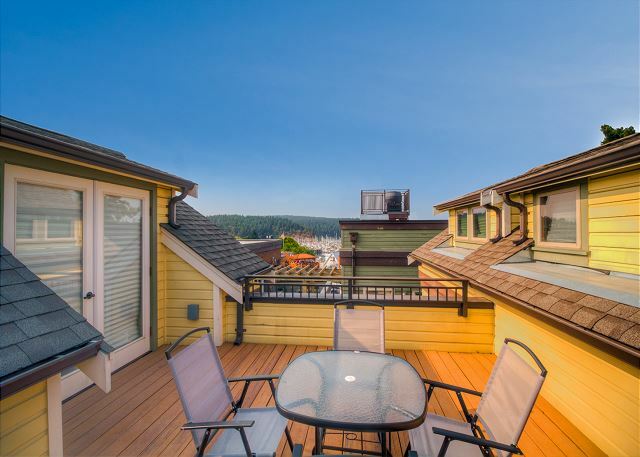 the little balcony pictured is off the master bedroom and is most sunny in the AM- so great for coffee while looking at the bustle on the waterfront. Unit has washer and dryer and a pretty well stocked kitchen. You do hear the ferry coming in / out but we thought that just added to the charm. 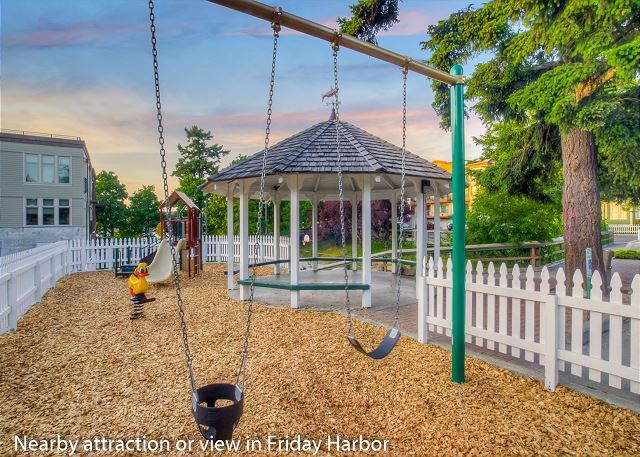 A great option for a small family or 2 couples in Friday Harbor. Churchill is in a fabulous location, and the views from the master bedroom and balcony were fantastic! The only draw back is that your very close to your neighbors. Although it's very quiet, and peaceful. 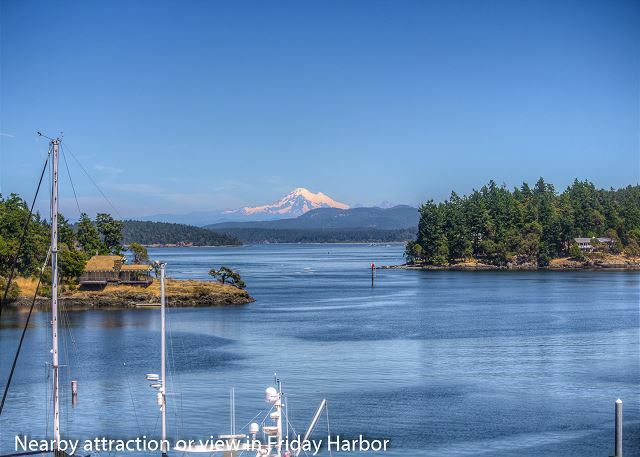 We had a great time in Friday Harbor. The place we had was wonderful! It had a great view it was close to walk to everything. 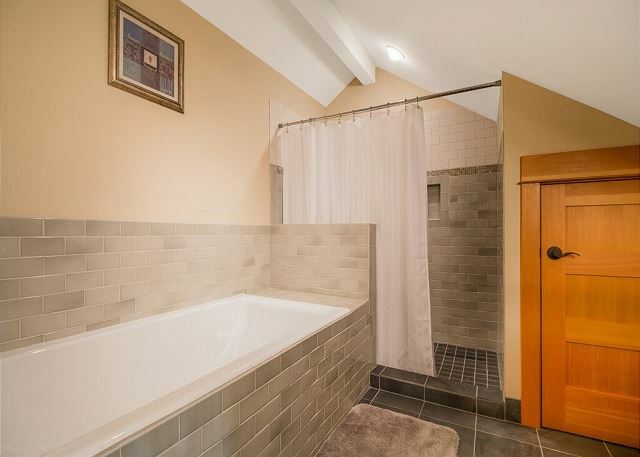 Master beadroom and bath are exceptional. I would love to have this kitchen! Our family of 4 stayed here for 5 nights. This property is much larger than it appears in pictures. It is on 2 levels with the master bath/bedroom on the second level. It was clean upon check in, nicely decorated and had everything we needed. There are no travel size shampoos/conditioners so be sure bring your own. 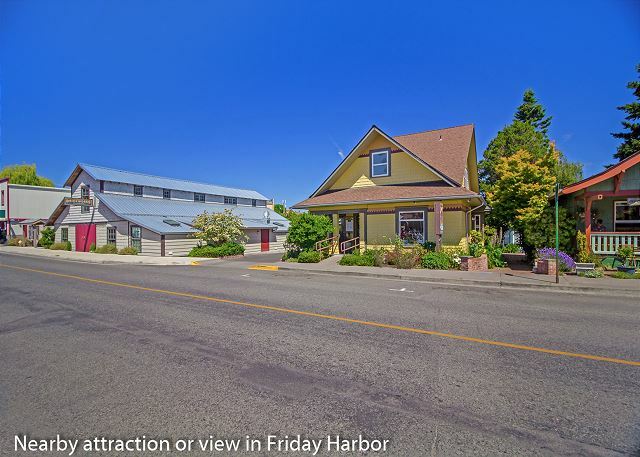 This property is steps from all the Friday harbor restaurants and shops and has lovely water views. The area quiets down fairly early at night but the harbor noises pick up about 5:30 a.m. so be prepared. The only negative (and it's small) is that the pocket doors on the downstairs bedroom and bath should be properly installed so they actually close and lock. The bedroom door in particular wouldn't shut at all but just bounced back open. 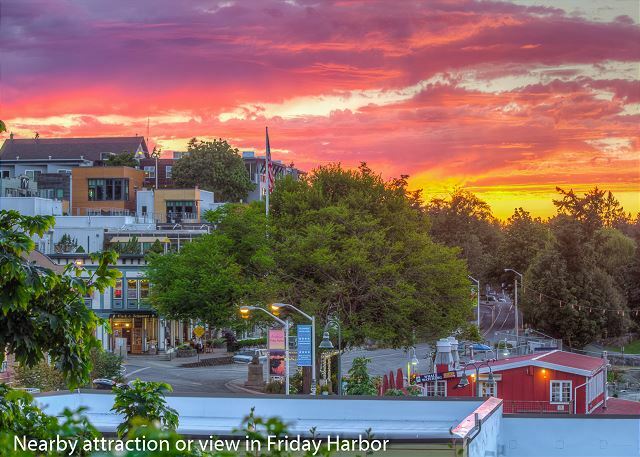 We love Friday Harbor and the condo couldn't be in a better spot. We stayed for 3 nights and had a great experience. The rental was in good condition and very clean. We all felt very comfortable with our stay. The only negative that happened while we were there was that two of the chairs on the main balcony, broke. Just normal sitting in them caused the fabric to rip. I believe this would have been caused by being out in the elements and it reduced the strength of the seams. Other than that, everything worked very well and was very nice. Thank you. We will come back and stay again for sure. Nice place. Clean, comfortable and a great location. Deck is nice for morning coffee or just hanging out for a bit. My two night stay at Churchill Plaza #4 was excellent. The unit is new, clean, comfortable and ideally located. I would stay here again. While check in time was 4pm, management phoned to inform us that that the unit was available earlier, very nice. Everything was great about this property. We enjoyed the central location and beautiful living space. It was perfect for our needs! We rented this place while on bikes. It has beautiful wood floors and a high end kitchen. Great location. It is right by the best places for breakfast in town and best lunch in town. We had a great experience in San Juan. Our condo was perfect. It is such a good location, comfortable, clean. I really can't say anything bad. We would go back and stay here. 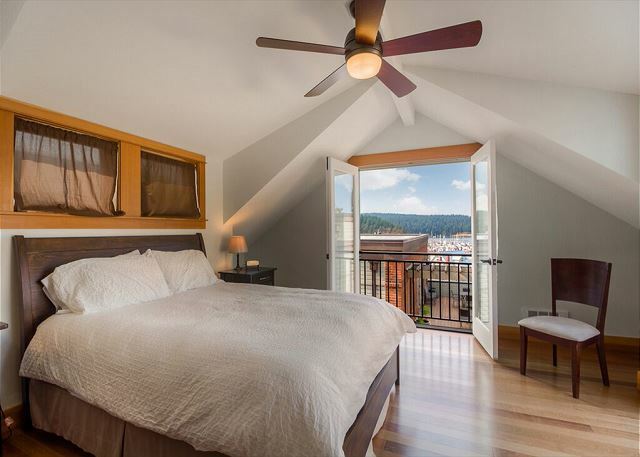 We just loved Churchill Plaza #4 in Friday Harbor* the mgt. company was very helpful and we appreciated the detailed instructions* the unit is spacious with one bedroom down and the master bedroom up with a view and attached private patio* wonderful kitchen, fireplace, extra central heating as needed, and nice washer/dryer* walk down to the ferry, shops, restaurants* hope to return again one day!! 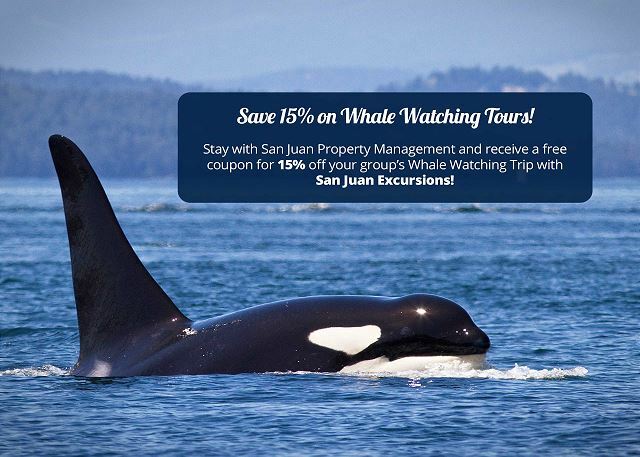 Two of our family members stayed at #4 Churchill Plaza but other San Juan Island family members spent time together there. It was a pleasant place for us to play board games and enjoy eating dinner as a family. 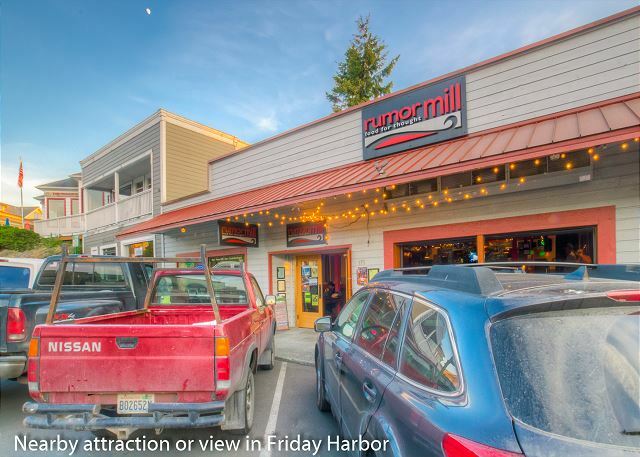 The location was perfect for us, allowing family members to spend time in town and easily within walking distance of everything Friday Harbor has to offer. We would certainly stay there in the future. Great condo with a perfect location for everything. This was perfect for our family and gave us plenty of room to spread out when we were in the condo. We will definitely rent this place again in the future. The only complaint is that the downstairs pocket doors don't stay shut and slide open, which doesn't provide privacy. Our stay was relaxing and filled with healthy experiences in beautiful San Juan. The condo was spotless, the management team was courteous and helpful in response to my needs and questions. The location couldn't have been better. There was a place to park your car, convenient to local transportation and down stores and resturaunts. 5 star.experience. 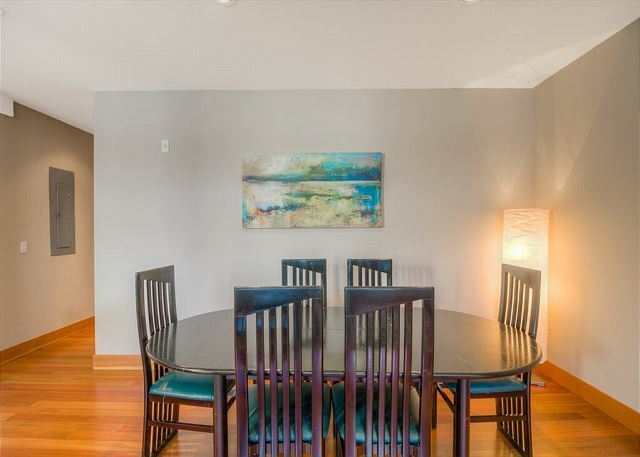 Clean, modern and comfortable and a good location - walk to great restuarants, farmers market with super baked goods. We enjoyed the in-town location with our adult sons. Lots of room to relax after kayaking, hiking and biking. Park nearby can be noisey - but you feel like you a part of the town. We enjoyed watching the ferries come and go. Great location to everything in town. I could walk to everthing. The unit is located next to the ferry dock, which means you could just walk on and not bring a car. We had a amazing time on San Juan Island thanks to the property that we rented. It was centrally located to great restaurants, shopping, and activities.